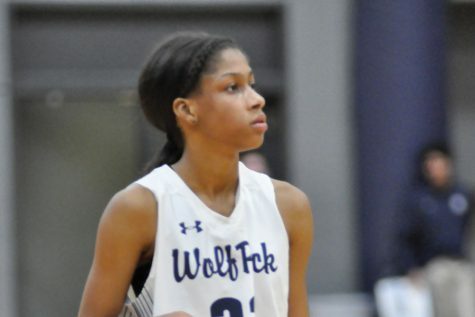 A freshman on the Madison College women’s basketball team, Macy Graf has played in all 26 games for the WolfPack this season starting three. The guard averaged 8.2 points and 3.6 rebounds a game. She also had 27 steals and 23 assists. Graf scored a season-high 17 points against Triton College on Jan. 28. 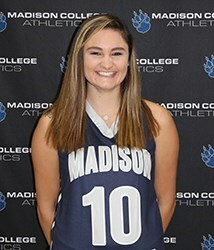 A three-sport athlete at Jefferson High School (basketball, volleyball, cross country), Graf was named honorable mention all conference her junior and senior seasons. 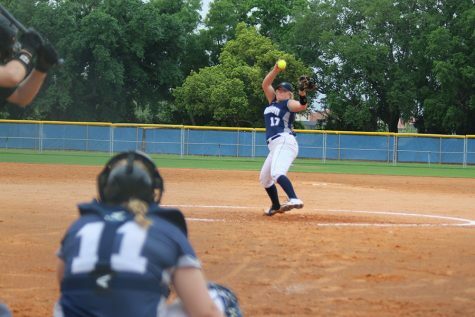 She was also selected as team captain her senior year. A physical training major, she is the daughter of Becky and Kevin Graf. 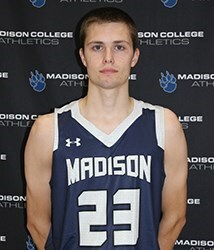 A 6-foot, 3-inch guard, sophomore Zach Adkins played in 29 games this season for the Madison College men’s basketball team, starting 11 of them. He averaged 3.3 points a game and 2.9 rebounds. Adkins had 49 assists and 12 steals this season. He scored a season high 11 points on Jan. 9 against Kishwaukee College. 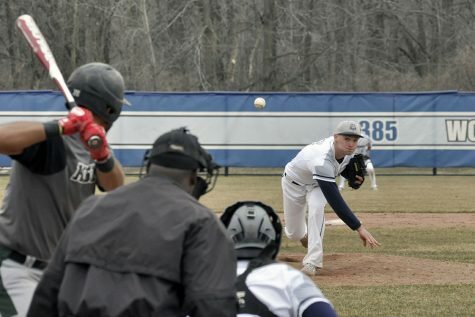 In his first season with the WolfPack, he started nine of the 23 games he played. Adkins earned first-team all-conference his senior season playing for Fennimore High School. A liberal arts major, he is the son of Lisa and Sean Adkins.